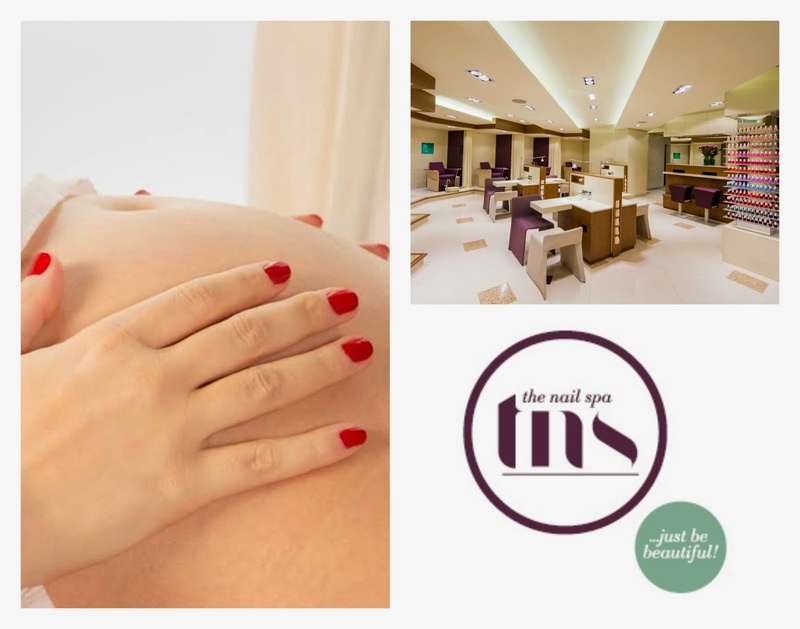 The Nail Spa now offers a special package for "Mummy to Be" to get a little pampering and feel relaxed during this wonderful but also kind of exhausting time. The Nail Spa recently had a bit of a revamp, the Mercato branch looked stylish and inviting. The staff was pleasant and professional. A great option for easy, stress free booking even as a walk-in salon if you are lucky. The place is busy just enough to give good urban vibe to the spa. My "Mummy to be Be" session started with a facial. The Bee Sting Facial, was soft, relaxing and brought a healthy glow to my skin, thanks to the therapist gentle but firm touch and the use of Heaven by Deborah Mitchell products. A range of organic skincare in perfect harmony with Nature and the latest breakthroughs in beauty technology. The Bee Venom Mask is a unique product has been specially created using natural and organic ingredients, combined to work in synergy for an instant anti-ageing effect. Containing Manuka Honey, renowned for its soothing and healing properties, it also contains the magic Bee Venom ingredient that works to control the facial muscles for immediate lifting, tightening and firm in. Overall, a really pleasant and soft treatment. Not a deep cleaning more like a soothing, moisturizing and rejuvenating facial. Then, I proceed to the next room for my waxing session using a new depilatory wax. Available exclusively at The Nail Spa, Cirépil also known as “Happy Wax”, is the ultimate ‘no double-dipping’ non-strip wax for the whole body.With no strips, no hot sticky wax and an exclusive ‘anti breakage’ application method. My expectations were high! When I heard less painful, I understood painless. Well, it was NOT! YES, It is probably less painful and easier to apply and with a more gentle peel away technic for removal. It's difficult to judge because while you are pregnant the skin with it's millions of nerves under it, is more sensitive and receptive to pain… But I believe like the therapist explained, Cirépil ensures that hair is pulled directly from the root, which means no breakage. The benefit of this is that the hair takes longer to grow back and there is much less chance of any ingrowing hair. Definitely a bonus!! And I like the post application of Cirépil Jasmin oil to protect the skin and reduce post-waxing redness or sensitivity. The treatment then consisted of French Manicure & Aromatherapy Indulgence for the hands and French Pedicure & Hot Wrapper using PerfectSense® Paraffin for the Feet. I picked lavender oil to melt away tensions, relax aching muscles and stimulate circulation. I was a bit nervous about massage while being pregnant but again the therapists were professional and understood what was appropriate. While I fully enjoyed my nail treatments I was also spoiled with a very good Back & Neck Stress Buster massage. The pressure and stroke were perfect. I totally switch off and felt it'd benefit for the rest of the day. The full session lasted nearly 3 hours and 30 minutes and cost AED884. It's a really nice treat and a great idea for baby shower gift.